I returned home from a lovely weekend at lunchtime today. What was the weekend? The Small Wool Gathering – 12 of us who had met on P3 last October and March. P3 was developed by Amy Singer and Brenda Dayne, a wonderful weekend in Pembrokeshire with workshops by Amy and Brenda in a glorious location. But this October P3 was cancelled and some very enterprising people who attended previous P3s decided something must be done to keep P3 alive ! And so we did. So that is where I was this last weekend……and I loved it! It was at Pedington Manor in Gloucestershire, a beautiful large country manor capable of taking 20 guests. Catherine and Jenny organised us and did all the cooking – yes ALL the cooking – breakfast, lunch, dinner and all the gorgeous cakes and biscuits for tea and coffee. I LOVED IT! Amy Singer came to do 3 workshops and all relevant to what I wanted (needed!) 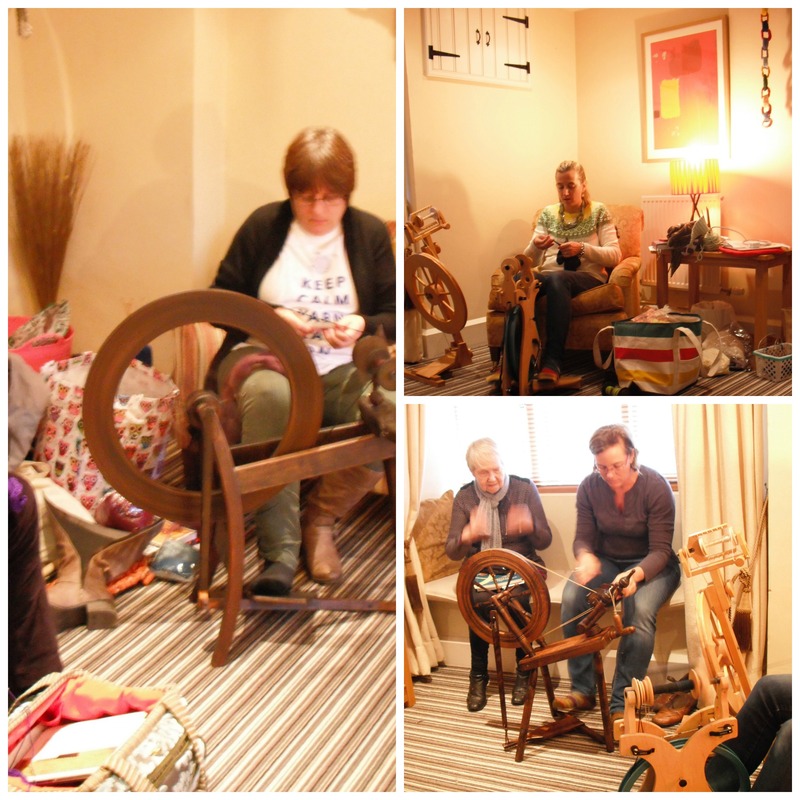 and we had some lovely evenings knitting, spinning and enjoying the company of like minded people. 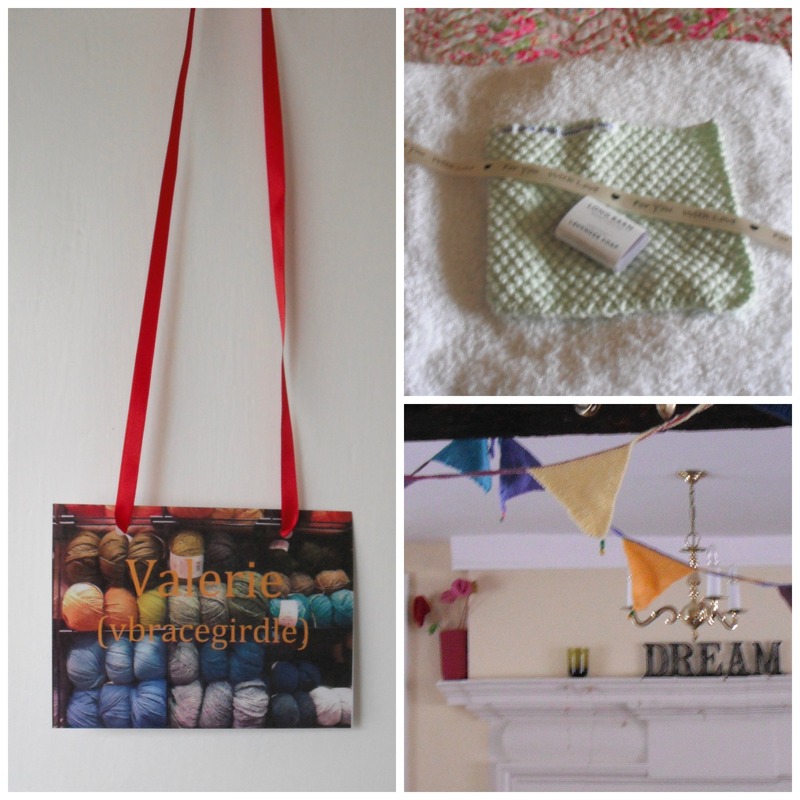 My door had a lovely sign attached, and there was a beautiful hand knitted washcloth (by Jenny) on the bed! 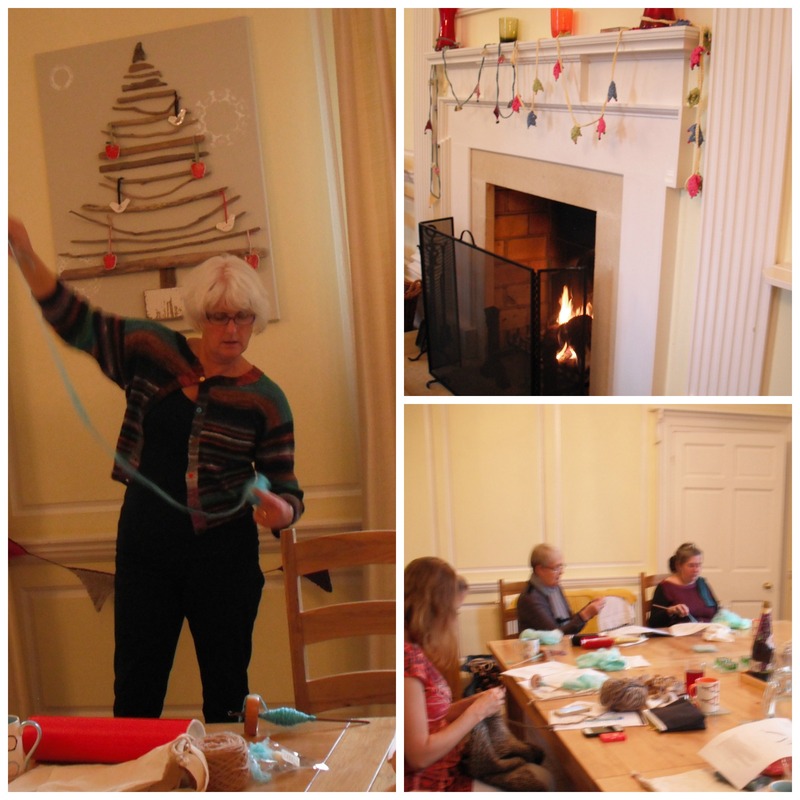 The workshops were held in the dining room, with a warm and welcoming fire adorned with knittery goodness! On Sunday morning we learn how to spin silk, then in the afternoon several attendees brought out their wheels and showed us all how to do it!! I also got to meet the lovely Jacqui Harding, such a fabulous opportunity. The postman rarely knocks twice……..